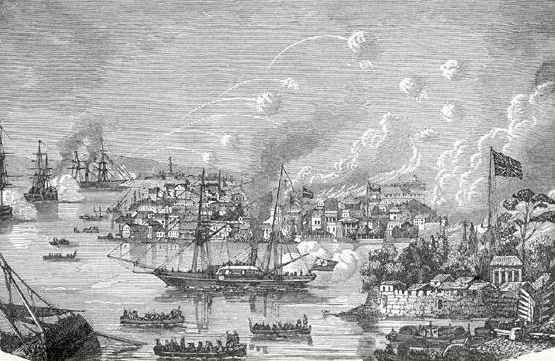 Holachina.com » The Opium War:How far was it reasonable for the British at Canton to be surprised at the policy pursued by Commissioner Lin from 1839? The Opium War:How far was it reasonable for the British at Canton to be surprised at the policy pursued by Commissioner Lin from 1839? This Essay was written as part of the course Opium and Empire at The School of Oriental and African Studies (SOAS): I submitted it on 1/3/1999. The objective of the essay was to analyse if and how the polices of the Imperial commissioner Lin Zexu, sent by the Qing court to put an end to the Opium trade, caught the British at Canton unprepared. 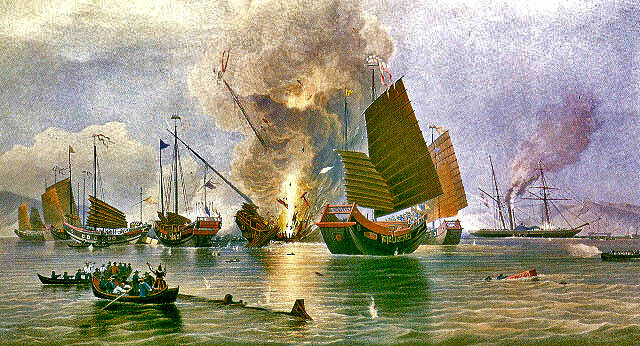 The Result of Lin’s actions led directly to the first Opium War. The War was won by the British and led to the opening of China to the outside world and the subsequent collapse of the Qing dynasty and China’s imperial system. How far was it reasonable for the British at Canton to be surprised at the policy pursued by Commissioner Lin from 1839? “Errors of Judgement by the Merchant community towards what Lin planned to do ..”, stemmed from the fact that “Lin was a type of official unknown to their experience.” (Sargent, p.77). This paper will argue that the British at Canton had every reason to be surprised at the policy pursued by commissioner Lin in 1839. Firstly, by looking at the policies the Chinese authorities adopted towards foreign merchants at Canton over the issue of opium, it will be shown that there didn’t exist any precedent for Lin’s actions. Secondly, by taking a close look at the personal and political motives that were driving Lin’s policies, it will be demonstrated that the British had little or no idea of the kind of man they were dealing with. The final part of the essay will examine how Lin’s policies when implemented caught the British unaware. At the beginning of the 18th century, five thousand opium chests a year were entering China; by 1838, that number had reached forty thousand (1). The fact that the import and use of opium was illegal in China meant it had to be bought with silver. The huge profits made from its sale gave rise to a whole network of criminality connected with the drug. 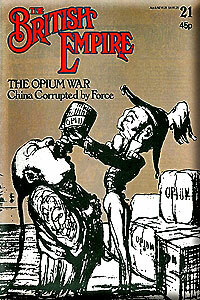 Official corruption associated with opium was widespread. The Hong merchants (intermediates with special permission to trade with foreigners) were involved, Mandarins were paid not to interfere, and even the Imperial Army took part in smuggling. Opium addiction had penetrated the very institutions set up to hold the Empire together. The Army appears to have been particularly affected (2). Furthermore, rightly or wrongly, the Qing authorities blamed the Empire’s economic woes on the opium traffic, they claimed the silver leaving China to pay for opium was draining the Empire’s reserves. Legitimate trade also suffered, as traders employed the same criminal networks used to smuggle opium, to smuggle legal goods and bypass customs’ duties and official squeeze (3). Suppression of the illegal traffic in Opium by the Canton authorities had few precedents prior to Lin’s arrival. Edicts were periodically sent out from Peking between 1800 and 1820 warning Opium smugglers that action would be taken against them, but very little was ever done (4). The Canton Governor, Ruan Yuan, had taken a hard line against Opium smuggling in 1821. However, his efforts were concentrated against native smugglers and smokers, rather than against foreigners. Ruan stopped trade for almost a year in 1822, but this was due to a dispute over criminal jurisdiction, not Opium. 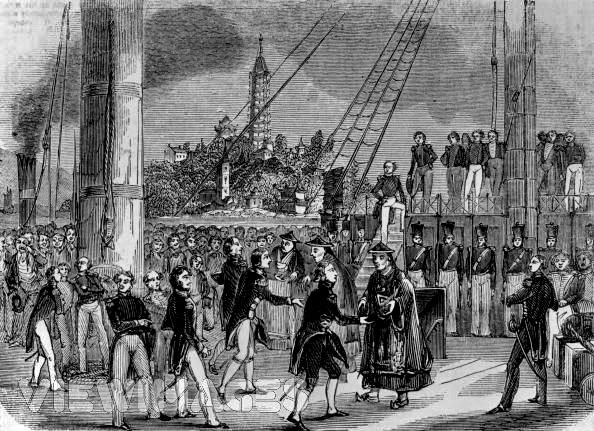 The next major crisis between the Chinese and foreign merchants at Canton arose over Lord Napier’s attempts to put trade and international relations with China on a basis of equality, and Napier’s flouting of Chinese diplomatic protocol. The Chinese temporally stopped trade in order to drive Napier out of Canton. Opium, which by then was flowing into Canton, again wasn’t an issue in the dispute. 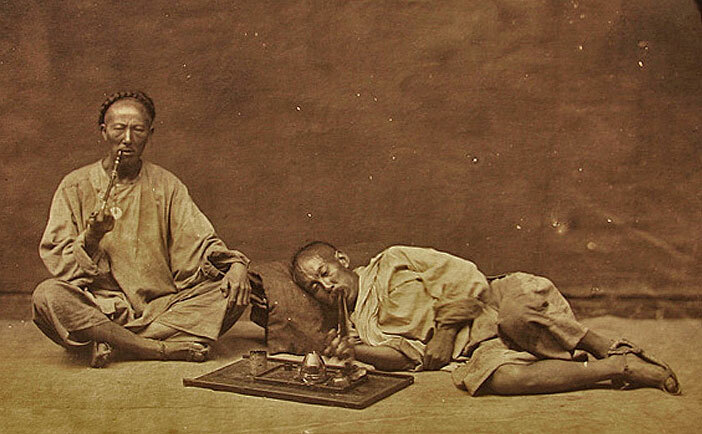 The first real attempt to clamp down on the Opium trade came in 1837. Victory at the court in Peking by those opposing the legalization of Opium led to edicts from the emperor to the Canton viceroy, Teng Ting-chen, ordering him to put an end to the Opium trade. Teng, who supported the legalization campaign, now started to clamp down very successfully on native smugglers. However, despite issuing threatening proclamations (5) ordering the Opium ships out of Chinese waters, no action was actually taken against foreign traders, and the ships remained. Greenburg suggests that the viceroy’s fear to interfere with the property of foreigners permitted the foreign Opium traders to keep on violating the anti-opium edicts (6). The Canton authorities had become mindful of British navel power after an earlier clash with Lord Napier in 1834, and probably wished to avoid conflict. It is possible to conclude that the British merchants at Canton had no reason to suspect that Lin would behave in anyway different from other Chinese officials. Owen is not wrong when he suggests that “Opium smuggling had been allowed to go on so long without effective challenge that western merchants came to regard it as an integral part of the Chinese scene” (7). Interference in the Opium trade was looked upon by merchants as tantamount to impertinence (8). It was “…..small wonder….,” Owen argues, that the merchants were surprised by the tactics of Lin (9). It is important to note that the British superintendent of trade, Charles Elliot, did not share the unperturbed attitude of the British Merchants (10). Initially, as Sargent points out, Elliot also doubted the Chinese were going to act “…in earnest .” (11), but the success of Teng’s campaign was causing Elliot two major worries. Firstly, trade in the only commodity the Chinese would buy en masse was virtually at a standstill, with all the economic implications that had for British India. Secondly, as native smuggling networks had been smashed, smuggling from Lintin Island and along the coast of Fujian was now being directly carried out by British traders. Elliot felt it was only a matter of time before an armed clash took place between Chinese troops and British subjects. 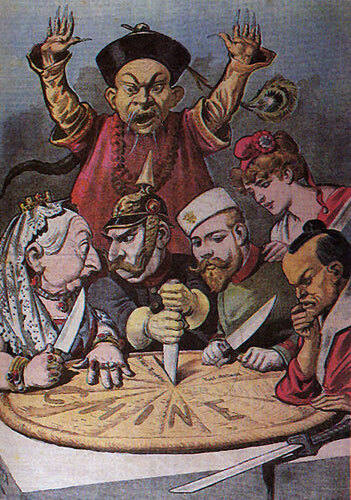 Elliot’s response to the Chinese suppression of the Opium trade demonstrates the dilemma he was facing. His correspondence with the British Prime Minister Palmerston during this period shows Elliot to be sympathetic to Chinese attempts to suppress contraband (13). However, he had no authority to prevent private individuals from engaging in smuggling. Elliot may have wished the Opium ships to go away, but he had no power to make them. He did, on the other hand, have a duty to protect legitimate trade, and the lives of those British subjects involved in it. Elliot responded to a worsening situation by calling up support from the navy for a show of force to change Chinese attitudes. Chang has condemned the subsequent Maitland Mission, claiming it was a tool with which Elliot hoped to intimidate, and impress upon the Chinese the need to relax the stringent measures against Opium and at the same time “…revive and strengthen the legalization movement in Peking.” (14). On both counts Elliot failed. If Chang’s arguments are correct, they demonstrate, not so much that Elliot was acting in the defence of the Opium trade, but how far he was unaware of the changing political currents at the emperor’s court. The fact that Elliot was still holding out hopes for a revival of the legalization campaign proves he had no idea that a new power group had gained supremacy at the Qing court. The emperor had given that group his support to try and completely eradicate the Opium trade. At the head of this group was Lin Zexu. Lin Zexu’s record in office was impeccable and he carried before him a reputation of incorruptibility. However, Lin was ambitious and had a political programme of his own. 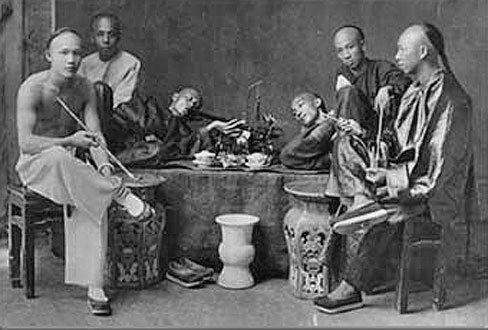 The suppression of the Opium trade was a pivotal part of Lin’s programme. Lin had joined a group known as the Spring Purification Campaign, based in Peking. On the surface, it was a poetry society, but underneath, it was also a network of patronage for the literati. Furthermore, the Spring Purificationists had a political agenda. They wanted scholar officials to take on a more active role in government at a local and provincial level. However, in order to take on such a role they needed to win the approval of the Manchu rulers at the Qing court. The literati would have to prove themselves, and what better occasion could present itself than the opportunity to eradicate the illegal trade in Opium. The Spring Purification Campaign had already won the emperor’s support advising him to reject the attempts of the Xue Hai Tang, a Canton academy devoted to general scholarship but also examination preparation, to have Opium legalised. 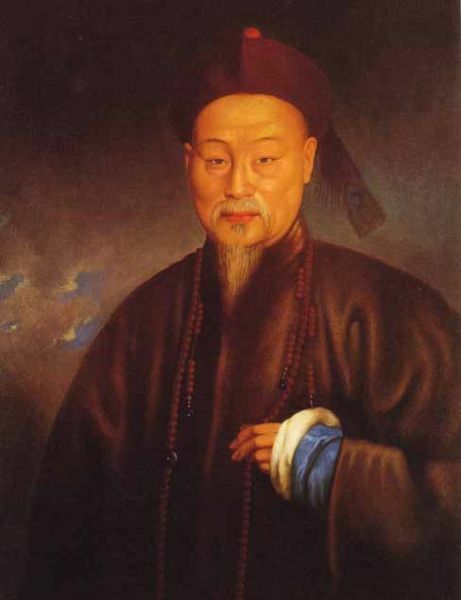 The Xue Hai Tang had argued that legalizing Opium would allow the Qing Government to control the drug, receive revenue and eliminate the criminality associated with it. The Spring Purificationists counter-argued that if Opium were legalised, everyone would start smoking it. Huang Chueh-tzu, a high ranking official in Peking and sympathetic to the arguments of the Spring Purification Campaign, presented a memorial to the emperor, outlining a radical plan to end the Opium trade. One clause of Huang’s memorial even called for the execution of Opium smokers. Lin gave his full support to Huang’s memorial. However, according to Polachek, many high-ranking provincial officials close to the Qing court saw the edicts stemming from Huang’s memorial as being too radical. In the face of such opposition, the campaign was to be restricted by Lin and his supporters to Canton and the Southeast (15). Polachek claims that Lin had also secured from the emperor a number of personal terms should he be successful in his mission. Not least was the position of viceroy of Liang-kiang, and the opportunity to reform the tribute-grain transportation system (16). It is Polachek’s view then, that Lin Zexu went to Canton in order to play “…the game of foreign policy essentially for domestic political purposes, and for the sake of expanded credit within the internal processes of Ch’ing politics.” (17). If Polachek is right, there is no way that the British at Canton could have second guessed Lin’s policy. Lin also held some peculiar views about foreigners which appear to have influenced his policies. This is especially evidenced by his opinion that without certain commodities, such as tea and rhubarb, the British were unable to sustain life. This probably led him to believe that any long term stoppage in the legal trade could be used as a tool with which to stop the illegal trade, and as a consequence, would disadvantage the British far more than the Chinese. The British, however, were well aware from translated memorials that any interference in legal as well as illegal trade also had an adverse effect on the Chinese internal economy. In particular, in Guangdong, and the tea and silk producing areas (18). The Opium trader Jardine believed at one point that widespread internal rebellion and disorder would result from officials prohibiting trade (19). The British must generally have assumed that no Chinese official would implement policies that could jeopardize the entire trade. On his arrival in Canton on March 10th 1839, Commissioner Lin immediately set about mobilizing the local scholar officials in order to eradicate the Opium trade. Lin made his headquarters at the Yue-hua-tang academy. Lin wanted his campaign to be run and won by the Canton literati, and kept Qing officials and military out of the city. Lin then gathered as much information about who was and who was not involved in the Opium traffic, how much Opium they had, and where it was. Then he struck. 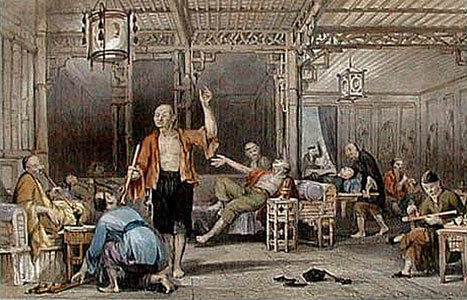 On the 18th of March, Lin presented the foreign merchants with a number of demands. Firstly, all the opium held at Canton had to be handed over to him within three days for destruction. Secondly, all merchants who wished to continue trading at Canton had to sign a bond, guaranteeing that in the future they would never trade in Opium on pain of death. Furthermore, Lin had made a list of the major smugglers who had to leave China and never return. Even after the Hong merchants had pleaded with the British that their lives were at risk, unless the British complied with Lin’s demands, the British continued not to take Lin’s threats seriously. Owen claims, not only did the British merchants fail to distinguish between a local officer and an imperial commissioner like Lin, but also Lin’s proclamations were “…so lavishly worded that the foreigners didn’t note the change in tone.” (20). One thousand Opium chests were surrendered as a token gesture. In the past, it probably would have been at this point where previous viceroys might have pulled back from the brink. Lin, however, converted his treats into action. Lin issued an order that one of the leading Opium traders, Lancelot Dent, come to see him, probably with a view to holding Dent a hostage, at least temporarily (21), or even prisoner (22). The Chamber of Commerce at Canton refused to let Dent go. Lin then responded by surrounding the factories with soldiers and withdrawing all native staff. He was to maintain this position, until all the Opium was surrendered. Lin had taken the entire foreign community at Canton hostage; the ransom was the surrender of all the Opium they held in the factories and on their ships. All trade, legal and illegal, came to a standstill. Elliot, who was in Macao when the trouble started, made his way up to Canton to give a semblance of British protection to the foreign community. Elliot endeavoured to resolve the siege and must have thought he had solved the problem when, not having the authority to order the merchants to surrender the Opium, he bought it all from them. This made the Opium British government property and Elliot could surrender it over to Lin, who in turn duly destroyed it. 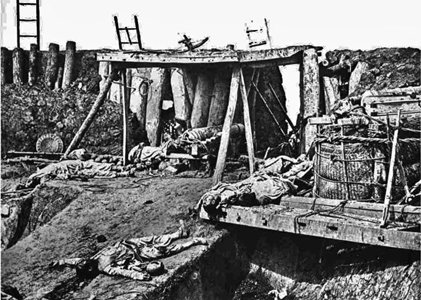 Welsh claims that had Lin been satisfied with this victory, war would probably have been avoided, and the controversy over compensation for the destroyed Opium could have been negotiated (23). Owen, however, argues that once Lin had threatened British lives and property nothing but war would satisfy Elliot (24). It is worth noting at this point the cultural differences between the two sides over the issue of confinement. The British saw themselves as prisoners of the Chinese authorities. Chang claims, that to the British, threats against “…British life, liberty, and property and dignity of the British crown” (25) were an outrage. However, to Lin, imbued with the ideology of the tribute system, how could Elliot consider he was a prisoner, when as soon as he had stated how much Opium was to be handed over, a gift of food was immediately sent (26). With the surrender and destruction of more than twenty thousand chests of Opium, Lin scented outright victory, and insisted on the bond being signed before normal trade could recommence. Elliot felt the bond couldn’t be trusted as a document upon which to base future trading relations between Britain and china. There were too many pitfalls and too many opportunities for misunderstandings and conflict. Elliot adamantly refused to allow the British merchants to sign the bond and banned al British vessels from trading with the Chinese (27). Elliot and the British community withdrew from Canton to Macao. According to Welsh, this was the only course of action Elliot believed open to him (28). Legal trade was all but stopped, while British Opium traders resumed business along the coast, as soon as they reached Macao (29). Lin’s policy achieved something it was never meant to achieve: the stoppage of legitimate trade and eventually full scale war with Britain. The British at Canton did not have an inkling of what Lin was planning to do. Precedents had given them complacency, and the security that nothing would seriously be different, whoever was in charge. Even Elliot could never have believed Lin would go so far in his relentless pursuit of outright victory over the issue of Opium. But Elliot was blissfully ignorant of the power struggle that had taken place in Peking and the motivation, political and personal, that was driving Lin. 1) A History of Hong Kong, Frank Welsh, p.78. 3) A History of Hong Kong, Frank Welsh, p.78. & The Opium War, Peter Fay, p.56. 4) The English in China, Eames, p.235-237. 5) Correspondence Relating to China, p.345. 6) British Trade and the Opening of China 1800-1842, M. Greenburg, p.201. 7) British Opium Policy In China and India, D.E.Owen, p.171. 10) Correspondence Relating to India, p.241. 11) Anglo-Chinese Commerce and Diplomacy, Sargent, p.76. 12) Commissioner Lin and the Opium War, Chang, p.104. 13) Correspondence Relating to China, p.327-333. 14) Commissioner Lin and the Opium War, Chang, p.110. 15) The Inner Opium War, James M. Polachek, p.130. 18) Correspondence Relating to China, p.257/258. 19) British Trade and the Opening of China 1800-1842, M. Greenburg, p.202. 20) British Opium Policy In China and India, D.E.Owen, p.172. 21) The English in China, Eames, p.346/347. 22) Commissioner Lin and the Opium War, Chang, p.150. 23) A History of Hong Kong, Frank Welsh, p.87-91. 24) British Opium Policy In China and India, D.E.Owen, p.168/169. 27) A History of Hong Kong, Frank Welsh, p.92. 2) Eames, J:B. The English in China, Curzon Press, London, 1909. 3) Fairbank, J.K. Trade and Diplomacy on the China Coast 1842-1854, Harvard University Press, 1953. 4) Fay, Peter Ward. The Opium War 1840- 1842, The University of North Carolina Press 1975. 5) Gray, Jack. Rebellion and Revolutions, China from the 1800s to the 1980s, Oxford University Press, New York, 1990. 6) Greenburg, M. British Trade and the Opening of China 1800-42, Cambridge University Press, London, 1969. 7) Morse, H.B. The International Relations of the Chinese Empire, Longmans, Green, and Co, London, 1910. 8) Owen, D.E. British Opium Policy in China and India, Archan Books, America, 1968. 9) Polachek, James. M. The Inner Opium War. Cambridge, MA: Council on East Asian Studies, Harvard University, 1992. 10) Sargent, A.J. Anglo-Chinese Relations Commerce and Diplomacy, Claredon Press, Oxford, !907. 11) Spence J.D. The search for Modern China, Hutchinson Press, London 1990. 12) Welsh, Frank. A History of Hong Kong, Harper Collins, London, 1993. 13) Correspondence Relating to China. SOAS Archives. I’m just writing to see if anyone can identify the source for the image under the label Elliot’s Fears. I’d like to include it in a publication and need to include the appropriate copyright information. Hi Dessa. Try this site. Hi. I too have a question about your images. I am looking to use images such as these for a documentary. I was wondering if you happened to have high resolution copies or if you could point me in the direction of where I could find them. Finally, later on sounding to many website, I constitute the solvent. I same your vogue of writing, hold on it up buster.